With a fairly large birthday last year (let’s just say it contained a 0 and a 4 – and not worry too much about the order of said numbers), hair colouring is now an essential for me – no longer just for fun or a change of style. However, having a five year old, a day job, a dog and a husband that works away, my days of spending an indulgent afternoon flipping through Vogue while a colourist worked their magic are also long gone. A DIY job with a supermarket-purchased kit has been the norm for a couple of years now. The trouble is that the supermarket brands are all made by the big bad boys in the cosmetics industry – the ‘non’ cruelty free people. I even checked the bottom shelves (normally where the ‘not tested on animal’ brands with their smaller budgets are placed) – but could find nothing that was cruelty free. 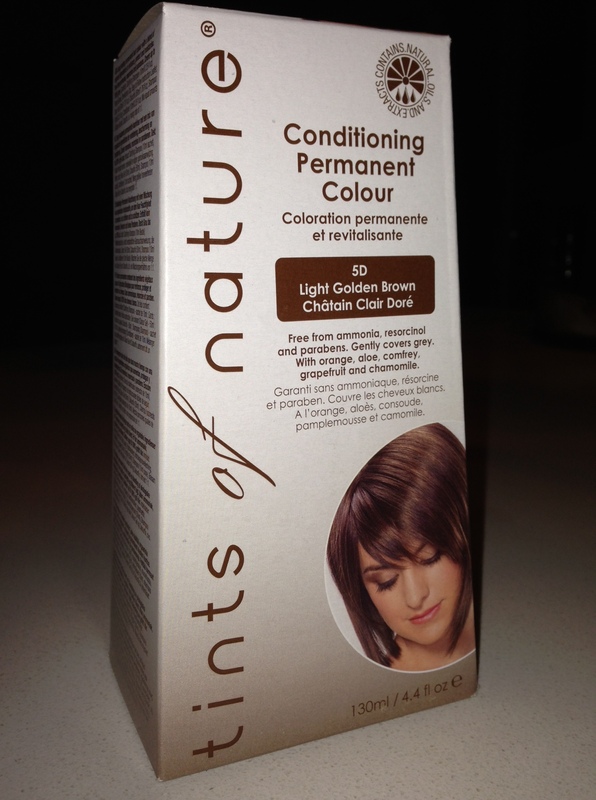 At a local health food store however I found Tints of Nature Conditioning Permanent Colour – a permanent hair dye that is not tested on animals (endorsed by Choose Cruelty Free) and also free from ammonia and parabens. It also claims to contain the lowest levels of PPDs. To be honest I had absolutely no idea what they were – but a quick Google search showed them to be nasty little critters and the cause of many allergic reactions from hair dyes. So another bonus! The application process is a little different to normal hair dyes. You actually begin by washing your hair with a clarifying shampoo supplied in the kit, to remove any dirt and residue, and then you apply the dye to towel-dried hair. 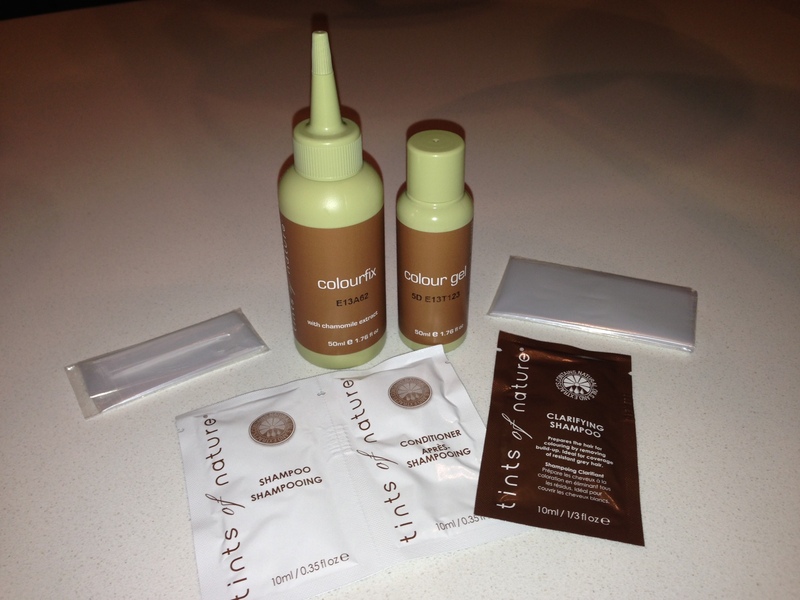 Tints of Nature have developed an alternative, much gentler and more effective way to colour hair. We use an alkaline moisturising substance to raise the pH of hair instead of harsh chemicals such as ammonia. I’ve got not idea what raising the pH of hair does – but am happy to know that I can get the job done with out the use of harsh chemicals. I forgot to take an after photo – but the result has been fantastic. I’ve used the kit twice now and both times I’ve found it easy to use and gentle on my hair (having no nasty chemical smell was also great) and most importantly long lasting. I have the biggest build up of ‘sparkly’ hair around my temples and have always previously found that they ‘shone’ through again after a few weeks, but with the Tints of Nature dye the colour lasted for about 10 weeks until I had to do it again. This product is a keeper for me and I highly recommend it for anyone else who also has an all over colour.